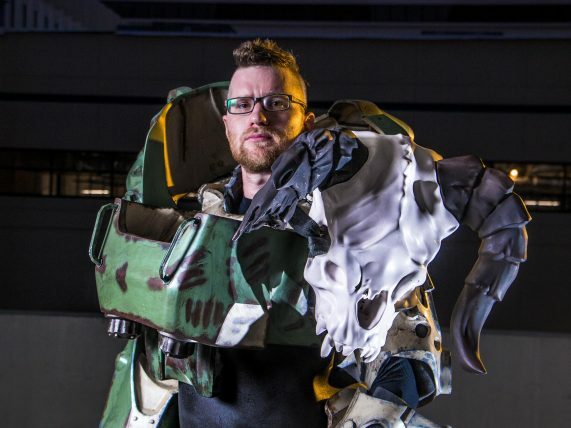 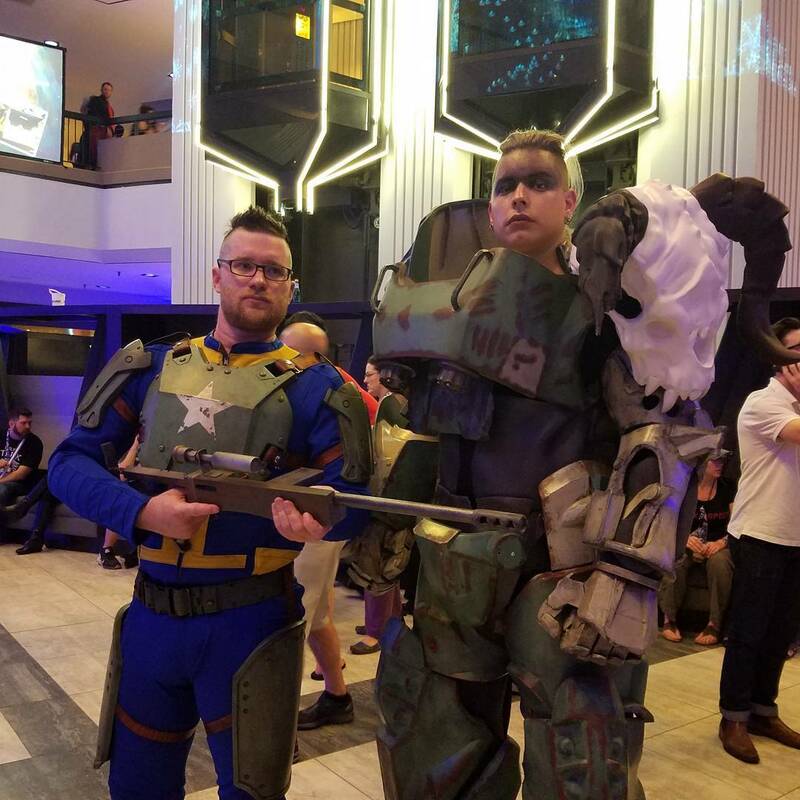 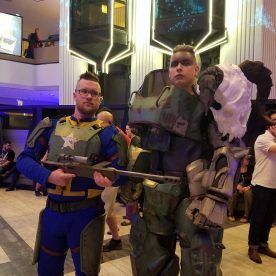 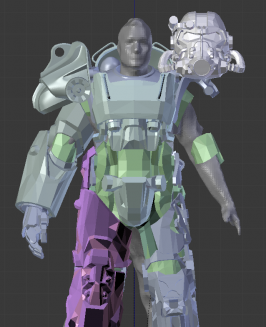 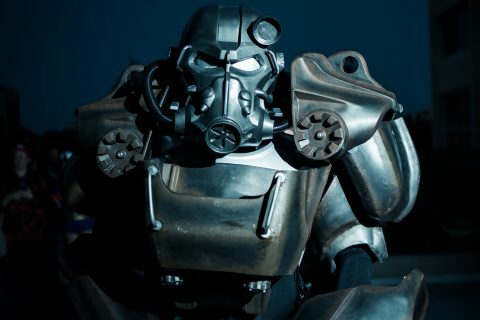 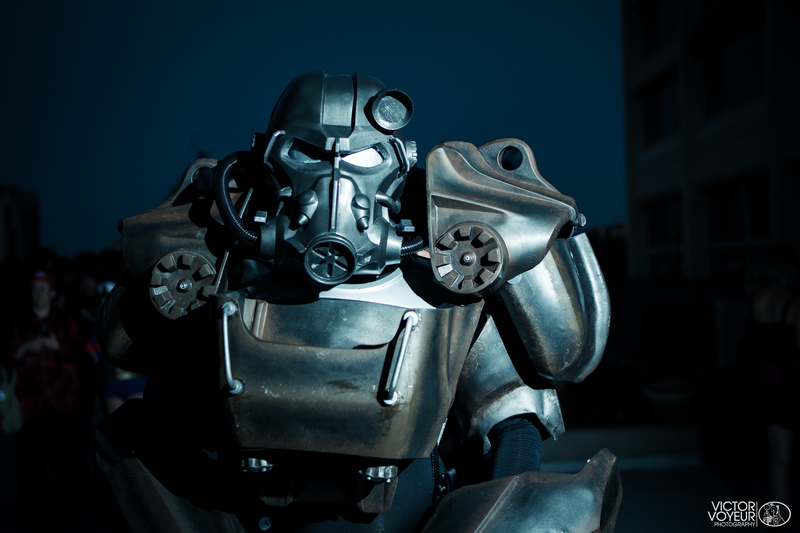 This set of costume armor from the game Fallout 4 is a full scale suit of fiberglass and cast resin parts. 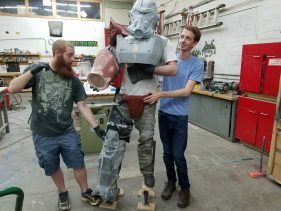 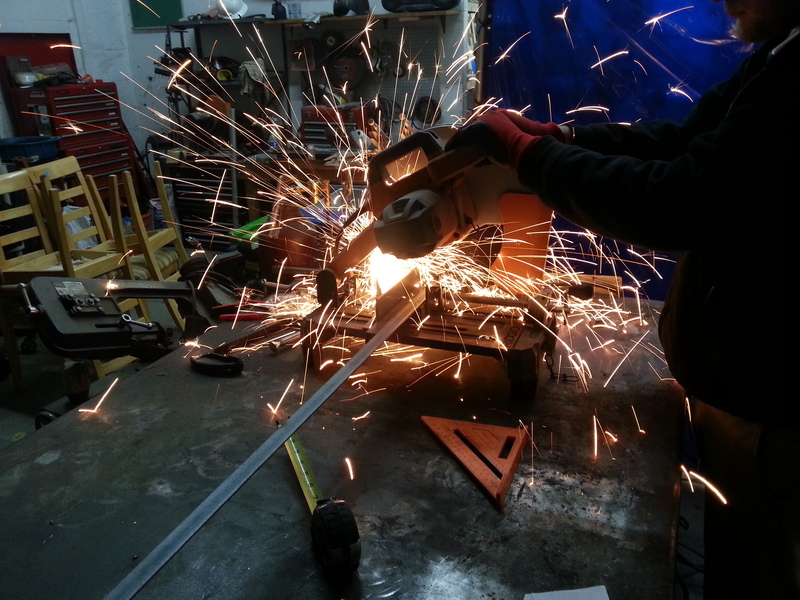 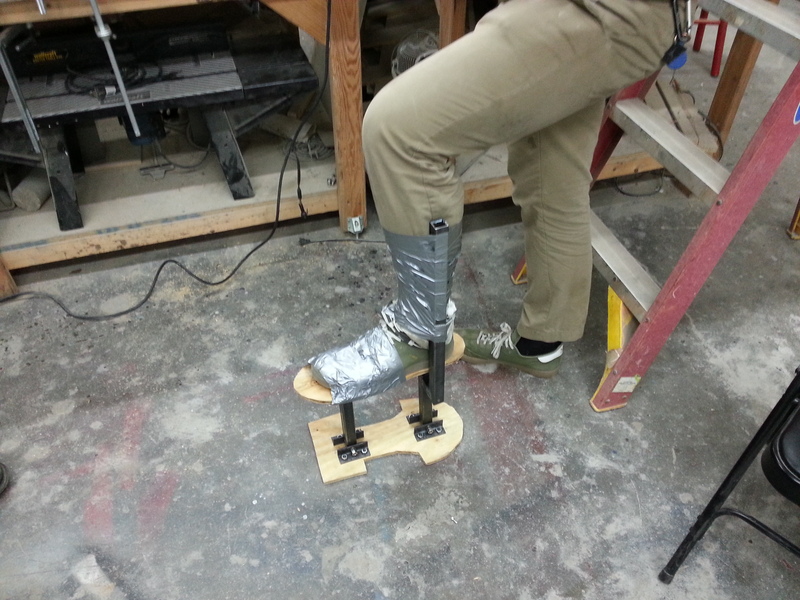 The wearer stands at 7 feet tall on a set of custom designed and fabricated welded steel stilts, but due to the materials used in the fiberglass lay up, the total weight of the costume is a mere 35 pounds. 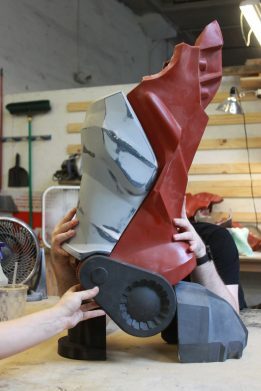 An internal cooling and padding system allows the wearer to comfortably wear the costume for several hours at a time. 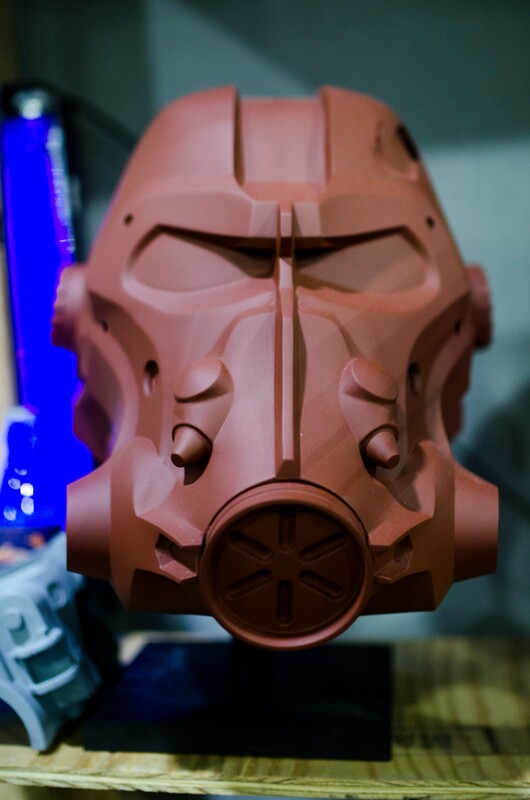 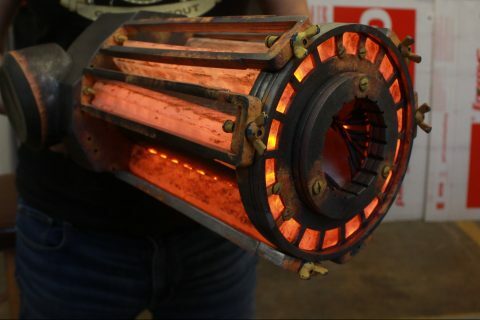 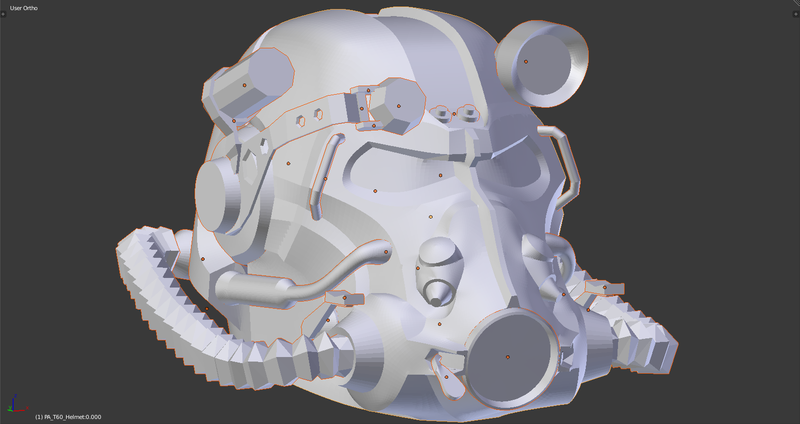 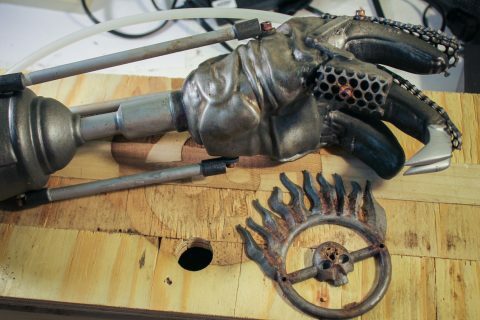 Designed from 3D files originating from the game that were then extrapolated and further detailed, the original sculpt was printed on a fleet of 3D printers and milled using a CNC router. 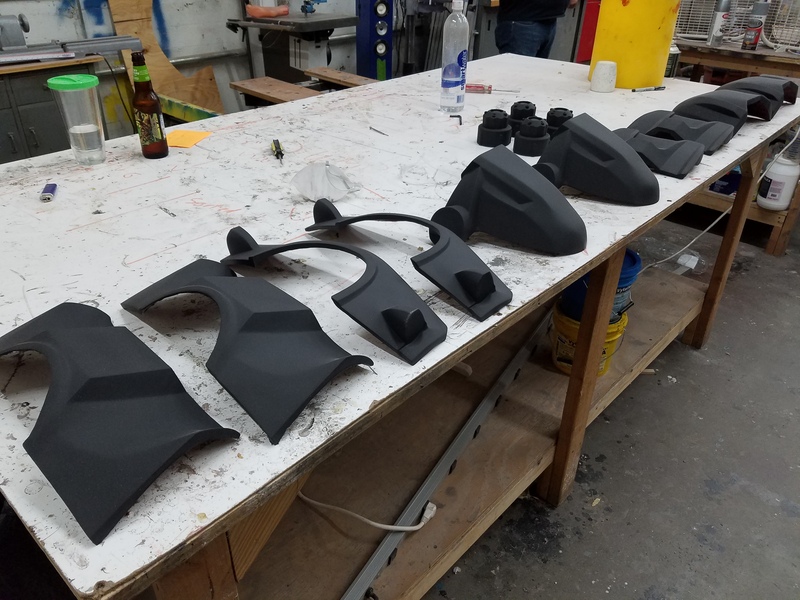 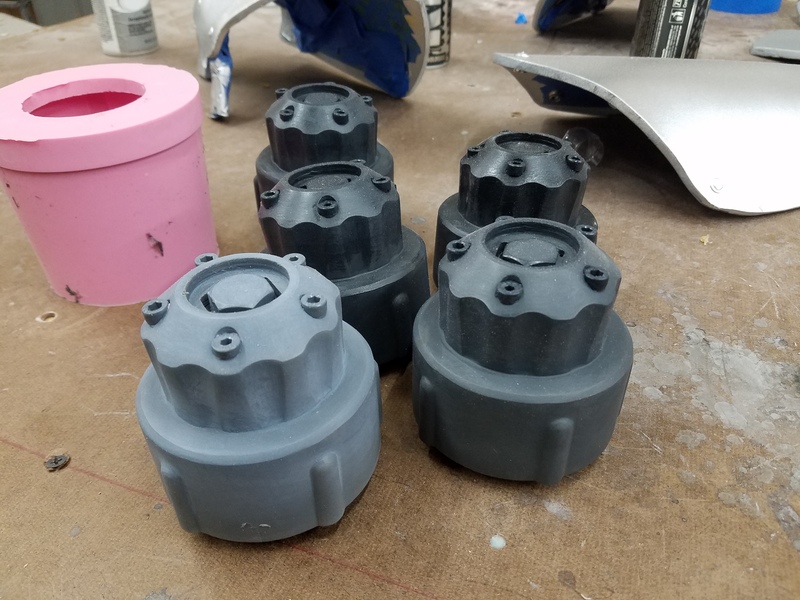 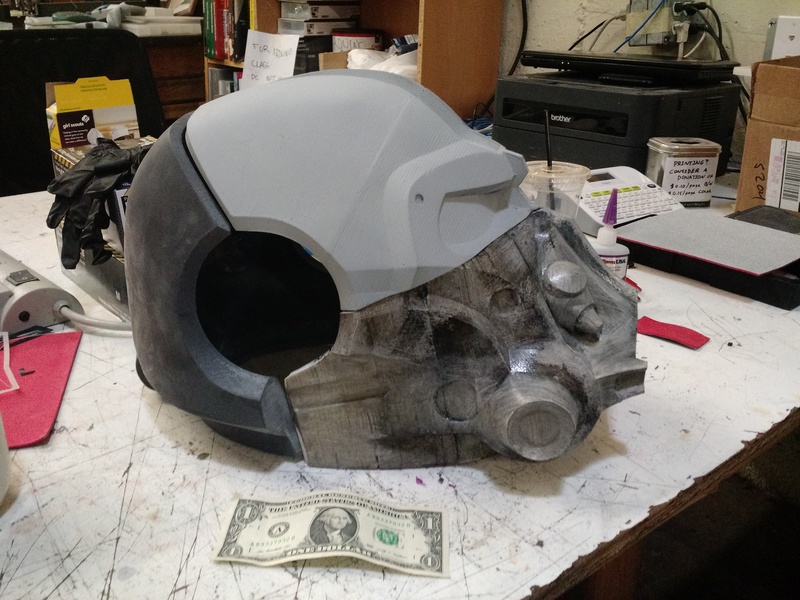 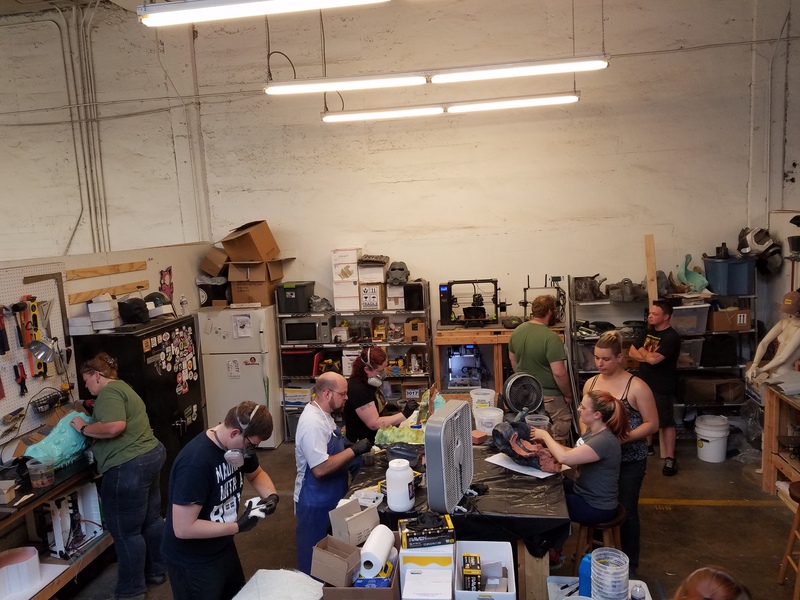 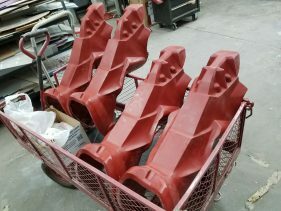 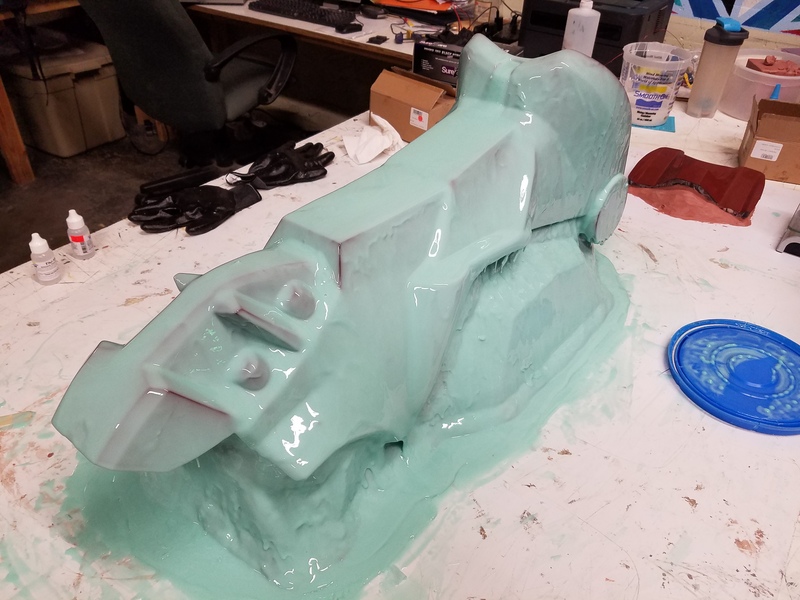 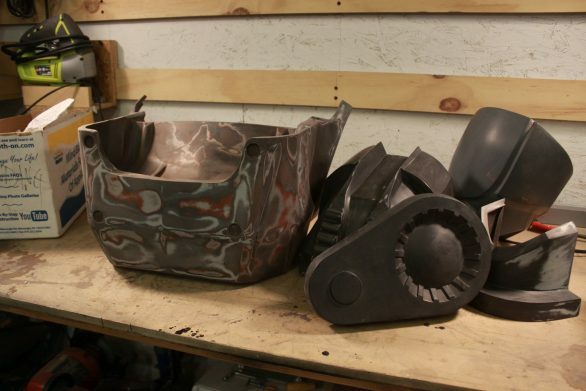 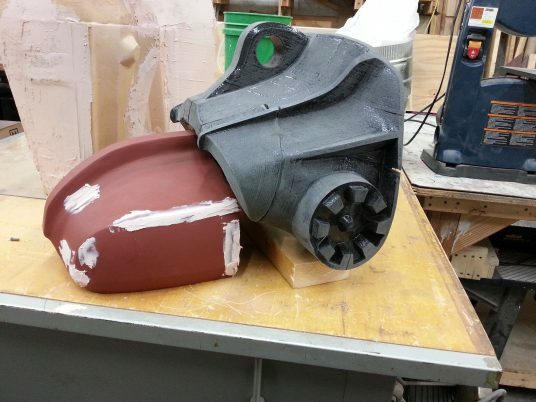 These parts were then assembled and finished to a flawless quality, and were then molded in silicone for resin casting and fiberglass lay up. 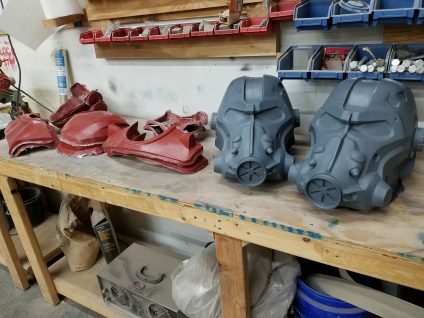 Several painting techniques were used to achieve the final result that looks both realistic and accurate to the source material. The delivered parts are strong and light weight, allowing the wearer to have comfort and freedom of movement while still standing at an imposing height. 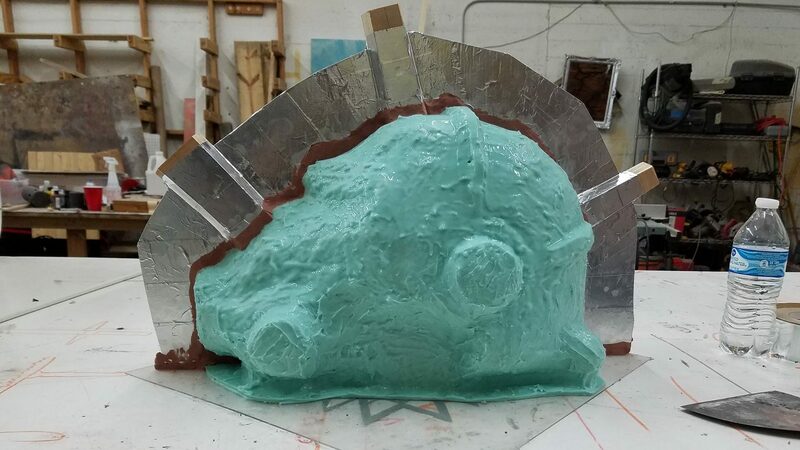 This project was completed in 2016. 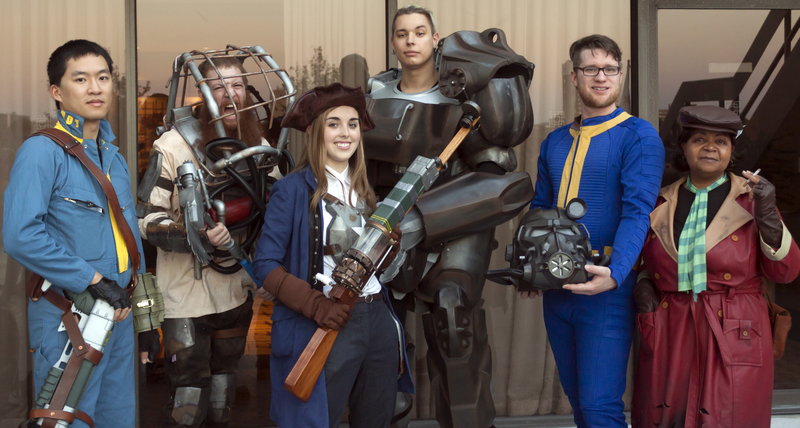 In 2017 a second set was produced and selected as a finalist for the Twitch Con Cosplay Contest.